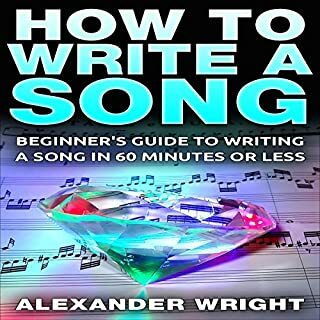 The book has purposefully been designed for those who want to learn how to write a song, but don't know where to start. It packs everything there is to know about writing a great song, from its structure to its thought process. But the book also doesn't forget about your personal business and hectic schedule, especially if you're a person who's planning on doing this part-time. I've described a really simple way to write a song, all in an hour, with the help of simple and refined techniques. Should not be an audible book. You only get one chapter. I feel ripped off.